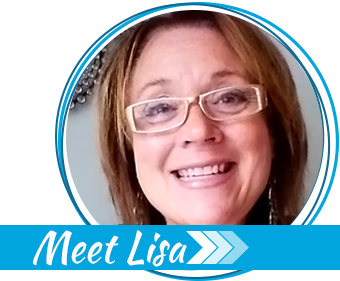 From Denise: Hi Lisa. I was told about you by a Momma who had just had her baby at the hospital that I work in. I am excited to learn more and grow from your site. I was wondering how to find the first 5 lists that you had for us. I only see the 6th one. I would love to print those out and take some good steps towards my family’s survival. Thank you. 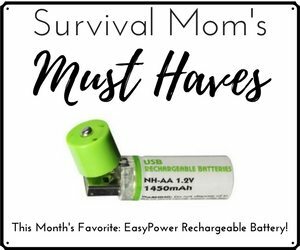 The Survival Mom: Hi there, Denise. I’m so impressed that any woman who just had a baby would even think about preparedness at that point! Wow! I’m thinking that the lists you’re referring to are my Baby Steps list. Here’s a link to the whole collection. I only found 5 lists, so let me know what that 6th one was! From Erika: We had a friend move in with us for about 9 months. Having lived with us for such an extended time this person became familiar with my prepping attempts. Once that person moved out, they told the ENTIRE family what I was doing and what I had on hand. Even going so far as to tell them they should come to my house in case of an emergency! Now what?! 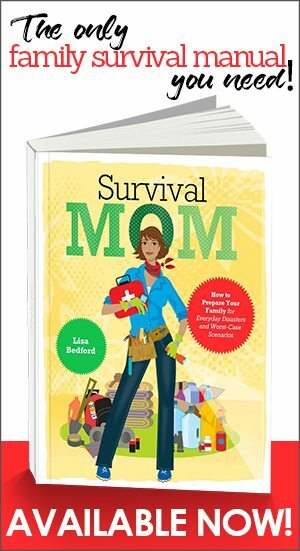 The Survival Mom: No good deed goes unpunished, they say, and this is a prime example. I sure wouldn’t allow this “friend” to know any additional information about your personal life than they already do, since they’ve demonstrated that they can’t be trusted. Now that your relatives have been informed of what you’re doing to prepare, you have a couple of options. First, you can downplay your preps. Every so often you can mention that you’ve been using up your stored food, you’re so grateful you had it, but it’s really dwindling. This will likely be twisting the truth, but your primary motivation is not to provide for every person who shows up at the door uninvited. Your primary purpose is to provide for your family first and then assist others as you can. Another option is to store what you can away from your home. A storage unit can be handy for this, although it should never be stored for food. Your supplies will be in a safe, locked location, away from prying eyes, but close enough to access when the time comes. Every prepared person first began the journey by being aware and then informed. If you can, use disasters/extreme weather events in the news to impress upon your family the need to be prepared. Ultimately, you may have to make it very clear that your preps are for your family only. Every person has the opportunity to get prepared now. Some will but most won’t and you aren’t responsible for their well-being. They’re responsible for it themselves. From Sandee: I just found your site! I hear the term “bug out” a lot , so do you think we need to be ready to leave our homes? Is it not better to stay put and protect your home and supplies? 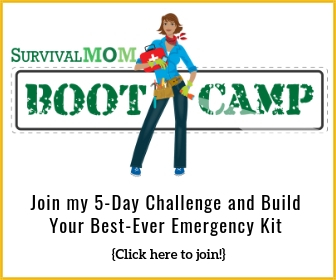 The Survival Mom: For most people it will be better to stay at home where they have family and friends, a secure shelter, and everything they’ve done to prepare for emergencies. Generally speaking, you should only bug out when your home/neighborhood is no longer safe. Even then, the best solution might be to stay with friends in a different part of town. A bug out location, i.e. a cabin in the woods, isn’t the perfect solution in spite of what you might read on other survival sites. It’s expensive to buy and maintain a second home, even if it’s just a single-wide on half an acre. You have to worry about weather damage, vandalism, theft, broken water pipes, etc. It’s not nearly as easy as some survival experts make it sound. It also may be dangerous or, perhaps, impossible to get to this “bug out location” in an extreme scenario. Roads may be impassable and unsafe for a variety of reasons. First make your home as secure as possible and become as prepared as you possibly can be for likely emergencies. Also, strengthen friendships and family ties so you, and they, will have a strong support system in a worst case scenario. You’re right to be skeptical about the whole “bugging out” thing. It sounds like something right out of a movie, which makes it look a whole lot more romantic and simple than it actually is. 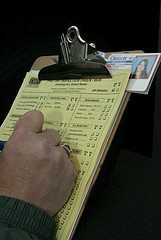 Lisa, I think THESE are the lists Denise was asking about: https://thesurvivalmom.com/2012/12/05/how-basic-can-you-get-list-6/ Maybe? I forgot about those!!! Those are good lists, too! Thanks, Raven, for figuring that out! When I talk to my friends about making a BOB I use these as general reasons why its good to have one…. -great starting place for getting prepared, even if you get snowed in you know that in those bags you have 3 days worth of supplies since the stores were empty. -fire, if you keep these close to your most likely exit or in a detached garage they may be the only things besides you family & pets that you can save. But hey at least the have enough cash for a hotel room and back ups of all your important info like your insurance papers. Random road trip- rather than feeling like these are waste when you don’t get to use them, instead of just switching out supplies USE them, go on a random weekend road trip or even just camp in your back yard, its a fun way to put them to use and in the event you NEED them your family will already be familiar with them and it gives you a chance to test them out and see what works for you and what doesn’t. Obviously there are a ton more reasons to have one but everyone can usually relate to one of these. It has brought many of my friends over to the prepared side! My own hubs was the one with the biggest mouth in the beginning until I explained to him that at the rate he was going we would all starve in a week with a years supply of food. So I really downplayed our preps to everyone and hid them much better. And played up what defensive stuff we had instead 🙂 when winter storms started hitting I started telling people we would just have to pack a couple bags and go to their place because we wouldn’t have heat and I can’t do anything without electric. I also started making suggestions that had everyday applications to our friends and family, I love to camp so I invite a lot of people to join us, if they show then I know that those people at least have some means to survive without electricity, I take a few of my friends shopping with me and make suggestions and teach them how to coupon and sale shop so they can stock up too. Now instead of having everyone wanting to come here in an emergency most of them at least have the mindset and supplies to get them through a month or so.